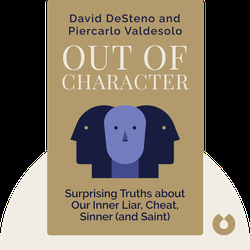 Out of Character (2011), introduces a more flexible idea about character that goes beyond the classic dichotomy of the saint and the sinner. These blinks use psychological experiments to demonstrate how many of the traits we consider fixed are prone to influence by outside events, often in surprising ways. David DeSteno is an associate professor of psychology at Northeastern University and director of the school’s Social Emotions Lab. His work has been published in The New York Times and Scientific American. 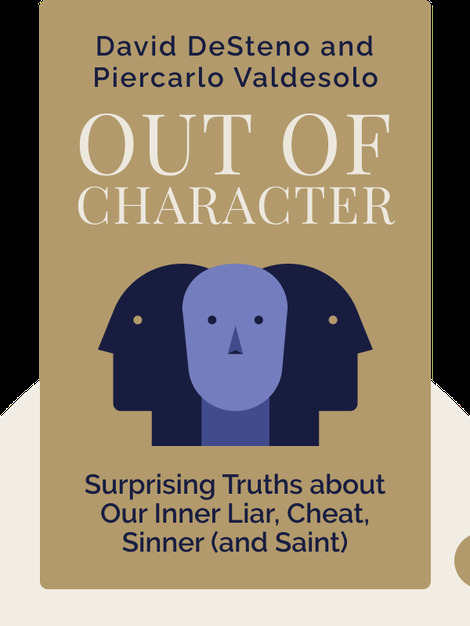 Piercarlo Valdesolo is an assistant professor of psychology at Claremont McKenna College. His work has appeared in The New York Times, Newsweek and many other notable publications.